Finance Ideas 4u: How Has SEBI Made Mutual Fund Investment Easier and How Will it Affect You? How Has SEBI Made Mutual Fund Investment Easier and How Will it Affect You? Indian investors have started opening up to the idea of investing in mutual funds (MFs), thanks to the investor awareness campaign undertaken by the industry. You can conveniently buy funds online and track the performance of the scheme you select. 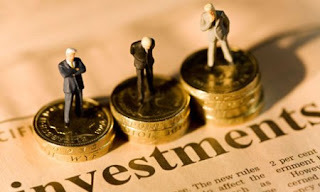 The problem, however, arises when you have to choose amongst the various investment schemes. At present, there are almost 2,000 schemes to choose from, which make it much harder for you to choose a suitable option. Looking at this huge number itself would discourage you if you were a novice investor. In order to address this issue, the Securities and Exchange Board of India (SEBI) came out with a circular on 6th October 2017 defining the various categories under which MF schemes must be classified. At present, this categorization is only applicable to open-ended schemes. This initiative aims to reduce confusion among MF investors and encourage them to buy mutual funds as investments. Children benefit and goal of retirement. You may buy mutual funds from 36 sub-categories as defined by the SEBI circular. SEBI’s move to consolidate the number of schemes in the market will make it easy for you to compare schemes with similar features. After comparing the schemes, you may choose to buy mutual funds online. This initiative will help you cut through the complex clutter of schemes and make the investment process faster and smoother than before. Fewer schemes will also mean that fund managers will be able to focus more effectively on operating a smaller number of funds. Imagine that there are 50 mutual fund schemes in the market managed by five fund managers, i.e. an average of ten schemes managed by each fund manager. If the number of schemes was reduced to 30, the average number of funds per manager would go down to six. This means a sharper focus on schemes and more efficient management of your mutual fund investments. After the classification of the schemes, you will still be able to choose from a large number of options to invest.Depending on your risk appetite and investment objective from the sub-categories specified under each main category, you may choose to buy mutual funds online. For example, the equity schemes category is divided into 10 sub-categories as discussed above. This categorization means that you have the choice to decide exactly where your monies are invested. The categorization of MF schemes does not mean that existing schemes would be discontinued. AMCs will amalgamate various schemes to adhere to the revised norms. This may mean that if the new scheme does not match your risk profile and investment strategy, you may have to shift your mutual fund investments. Depending on the type of scheme, you may be liable to certain taxes. Another effective manner of knowing which schemes are suitable according to your risk appetite and financial capacity is by downloading the Angel Wealth mobile app. The technology-driven ARQ investment engine will help you in determining the accurate scheme to invest in, that too without any human bias. SEBI has endeavored to reorganize the structure of the classification of MF schemes, while at the same time, offer a healthy variety of schemes to investors. In the circular, SEBI also listed out scheme characteristics that fund managers would need to adhere to. For example, in case of large-cap equity mutual fund schemes, a minimum of 80% of the total assets must be invested in equity securities of large market capitalization companies. Similarly, for large and mid cap funds, at least 35% of the assets need to be invested in equity securities of large market capitalization companies and at least 35% of the assets in equity securities of mid-cap companies. These characteristics have been designed to ensure that fund managers stick to the objective of the primary asset class, as suggested by the name of the scheme. While SEBI’s circular created some concerns among mutual fund operators, this move has been welcomed by industry professionals as it would streamline the currently crowded MF market and boost investor confidence in these investment products.